You may not be surprised to know that Thanksgiving is a very popular theme for CSR Reports. There is possibly no better holiday than Thanksgiving to demonstrate your corporate citizenship efforts and hold various celebrations and events for the community. I found 343 references to Thanksgiving (using CorporateRegister.com's PDF search tool ) in CSR Reports over the years. Bacardi likes to celebrate Thanksgiving in style and in the 2012 Bacardi Report we can find references to an apparently very important Thanksgiving event in which 5,580kg of food were donated by Bacardi U.S.A. employees to the Abriendo Puertas food bank onThanksgiving in 2011. This was so important that it was mentioned four times in the same report. I wonder if that means they donated 22,320 kg? Alliant Techsystems Inc (ATK) also donated food - turkeys and other groceries - at Thanksgiving. Turkey is the traditional food eaten on Thanksgiving, unless you live in Alaskan villages, where whale meat is sometimes served up instead. I wonder if ATK included whale meat in their donation? Abengoa reported on their social programs in 2012, and lo and behold, there was lunch on Thanksgiving, just in between preventing breast cancer and pizza day events. The thing is, there's a misprint in the text and instead of saying Thanksgiving Day Luncheon, it says Thanksgiving Day lunch on. Maybe they ate the turkey and the letter "e" as well. In China, things got a little more creative. China Telecom shared coffee and love on Thanksgiving Day and ended up donating rice to a local Food Bank. Integrys Energy tells a humanitarian story of many employees who selflessly helped to support devastated communities in the aftermath of Hurricane Sandy. But it's not all about turkeys and food banks. Grupo Ferrovial notes that traffic is heavy on Thanksgiving. Apparently, if you are not eating on Thanksgiving, you are going somewhere to eat. Another spectacular event is Macy's Thanksgiving Parade. However, watch out for the weather. "Snoopy, SpongeBob Squarepants and other giant helium balloons in the Macy's Thanksgiving Day Parade in New York could be grounded by high winds predicted for the holiday by weather forecasters"
But all is not lost. if you can't get to the parade on Thanksgiving, at least you have about another 330 CSR Reports to read in order to learn more about how corporate citizenship kicks into action on this special day and how it is reflected in sustainability reporting. The #CSR Reporting Blog wishes everyone a Happy Thanksgiving! It's been a long while since Dr. Sustainability came to visit. She has been sooooooooooo busy. All these conversations about G4 have completely caught her up in a whirlwind of activity. In fact, Dr Sustainability told me that she is considering calling herself Dr. G4, but that doesn't quite roll off the tongue in the same way that Dr. Sustainability does. And of course, when G5 comes out, she would have to change her name again. However, Dr. Sustainability is definitely thinking that G4 has the M Factor. Dear Dr. Sustainability: I have heard you talk about the M Factor. What does M stand for? Magnificent? Mammoth? Mega? Misguided? Myopic? Monstrous? Minimalist? Dear Curious: You have certainly come up with some options I hadn't thought of. But in the context of G4 reporting, The M Factor is of course Materiality. Delivering a sustainability report without The M Factor is going to get harder and harder. In fact, it's The M Factor that makes it a sustainability report. Dear Dr. Sustainability: I have written a G4 report. How do I know if it has the M Factor? Dear Stupid: Check out the Content Index. If there is no "omission" next to the disclosure that asks for the list of Material Aspects (G4-19), that's a good start. The next thing is to check whether you have described your process for defining Material Aspects. After that, you should check if stakeholders have provided input and if the frequency of engagement has been noted. Then you can look to see if your Specific Standard Disclosures and Disclosures on Management Approach are in line with the Material Aspects. Of course, don't forget to check whether your Aspect Boundaries are internal or external to the organization. Then, you can make a quick scan of the Principles for Defining Report Content and the Principles for Defining Report Quality. Then check if you have responded to all the General Standard Disclosures. You can also take a quick look at the CEO statement to see if it includes a description of strategic priorities for the short and medium term, including respect for internationally recognized standards and a reference to macroeconomical and political trends. After that, if you don't know whether your report has The M Factor, it probably won't matter. You will be in an institution. Dear Dr Sustainability: Thanks for your reply. Next time, please reply in English. Dear Dr. Sustainability: Did you call it The M Factor just to cash in on a little free publicity? Is it a way to associate sustainability reporting with the incredibly popular mega-rating fabulously universal TV show The X Factor? Perhaps you think that The X Factor may lend a little spotlight to sustainability reporting and help it go viral? Dear Simon Cowell: The X Factor seeks out talented people by selecting a small number from the hundreds that start out claiming they have The X Factor. Almost all of them fall by the wayside. It's the same with sustainability reporting. Thousands of reports claim they have The M Factor, but eventually you come to realize that The M Factor is rather elusive and only a few reports are privileged to make this claim genuinely. By the way, isn't it time The X Factor produced a Sustainability Report? You could call it The XM Factor. Dear Dr. Sustainability: Are there any other TV shows that you think are similar to Sustainability Reporting? Dear TV Addict: Actually, I don't watch much TV, but since you ask, Grey's Anatomy could be an interesting analogy. The skills required of the docs that run the ER are very similar to those required of today's Sustainability Officers. You have to be quick-thinking, know how to lead a team, make intuitive connections and improvise if you have to, think on your feet, act decisively and be prepared to amputate if you need to. That's just like publishing a Sustainability Report. Especially the amputate bit. In some cases, you might need to amputate the entire report. In other cases, just the CEO. Dear Dr. Sustainability: Is The M Factor an absolute thing? I mean can a report have The M Factor partially? Or does it have to be completely in full comprehensive M Factor? The D Factor: D stands for Drivel. No explanation needed. The Y Factor: Y stands for Why on earth did this company publish a sustainability report when they have nothing to report? The OMG Factor: OMG stands for WOW, the CEO actually read this report he signed off on. The PR Factor: PR stands for Press Release. This is a report that looks great in a Press Release but not in a report. The COTW Factor: This stands for Completely Off The Wall. Reports which are so out of sync with the issues that matter that they were probably written by PR firms. Or politicians. The JK Factor: JK stands for Just Kidding. You must have seen reports like this. As you read them, all you can say to yourself is: Are you kidding me? Sometimes this is called the S Factor. S stands for: Seriously? The A Factor: A stands for Awesome. Not many reports have this factor. It's when the report is fabulously designed, incredibly creative, pyrotechnically sophisticated and sleekly presented online, but the content is anything but material. Dear Dr. Sustainability: I hear that GRI is starting out with a new G4 Application Level Check, to see if G4 reports have The M Factor. What do you think of that? Dear Checker: It's a brilliant move on the part of GRI. According to the initial information GRI has provided, they are charging the same price as the G3 Application Level check while promising to check the presence of just 11 disclosures out of a possible 58 general disclosures, with no reference to all the DMAs and performance indicators that support material disclosures. In other words, half the check, half the report, same money. I definitely think that GRI has The M factor. M for Mastermind. Dear Dr. Sustainability: Did you manage to work out what the material Aspect Boundary in G4 is all about? GRI G4 says it's about where the impact occurs. But all of my impacts seem to occur in lots of places. How can I define my material Aspect Boundaries? Dear Boundary-challenged: Look, it's very simple. Think of it this way. You like ice-cream. You want to eat an ice-cream, but first you have to buy it. When you buy an ice-cream, the impact is external because you have contributed to creating economic value, enabling the ice-cream seller to earn a livelihood, pay back her small-business loan and send her kids to university. Buying an ice-cream has a fabulous impact on the world and therefore the Aspect Boundary is external. On the other hand, now that you have bought the ice-cream, you eat it. Here is impact is internal. Tomorrow morning, when you step on the scales for your daily weigh-in, you will find that the needle has moved a little more to the right, and when you get dressed you will notice a certain tightness around your waist. This is because the ice-cream is now stored in your body as superfluous calories, may contribute to your becoming seriously obese, preventing you from being a productive human being. This impact is most definitely internal, but it also has an external consequence as your obesity presents a worrisome drag on the healthcare system and society at large and your lack of productivity means that you are a burden on the state and ultimately people will have to pay more taxes. Therefore, buying and eating an ice-cream has predominantly external material Aspect Boundaries, and if anyone tries to tell me otherwise, I will show them the G4 Implementation Manual. That should definitely clear things up. Dear Dr Sustainability: You mentioned Aspects. I really don't understand this in G4. What if my material issues don't fit into the Aspects? Can I just create my own Aspects? And if so, what's stopping me from using only my own Aspects? Why do I need to force-fit my Aspects into the G4 template? Dear Rebel: Look, son, sometimes you just have to conform. GRI has spent hundreds of thousands of Euros developing G4 and creating a universal table of material Aspects. What sort of business are you in that makes it so different that none of the Aspects fit at all? Dear Smelly Rebel: Enough said. Dear Dr Sustainability: What other parts of G4 are hard to understand? Dear Easylife: The hardest part of G4 to understand is why everyone thinks G4 is so hard. It's not. It's just extremely difficult. Unless you have a great consultant. Dear Dr. Sustainability: There are some that say G4 is just a stepping stone to Integrated Reporting, and that when Integrated Reporting takes over, G4 will die. What do you think? Dear Pessimist: When Integrated Reporting takes over, I will die. Haha. Joke. Integrated Reporting has some merits when it is done well. The new Westpac Report, for example, can teach companies a thing or two about Integrated Reporting. However, we are far from the day when Integrated Reporting will become an effective reality for most companies. G4 can be a useful stepping stone to a more integrated approach. Before Integrated Reporting can take over, G4 must take over. Dear Dr. Sustainability: What's the best G4 report you have seen so far? Dear Optimistic: The one that hasn't been published yet. Dear Dr. Sustainability: What advice would you give a company wanting to publish its first Sustainability Report? Dear Beginner: Stock up on ice-cream. We all have perspectives. Sustainability Reporting is something that tends to give rise to many different perspectives - my last post being a case in point. Some perspectives are more important than others. And some perspectives lack perspective. A new report from CorporateRegister.com now reveals many perspectives. My perspective on that is positive. CorporateRegister.com, who hosts and manages the global online directory of corporate responsibility (CR) reports, today launched the CR Perspectives report, combining data, insight and opinion to reveal how global CSR reporting has developed to date and where it might be headed. 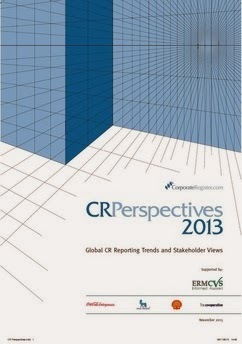 Available as a free download from www.corporateregister.com (login required), the report CR Perspectives 2013 - Global CR Reporting Trends and Stakeholder Views looks at global CR reporting based on statistics deriving from the world’s largest CR reporting database (52,000 reports) and stakeholder views based on the CR Perspectives online survey. The report is structured into four sections looking at the Context, Content, Communications and Credibility of CR reporting. The online survey conducted in early 2013 received 300 responses from corporate CSR professionals (40%), CSR consultants (18%), academics and students (16%), and even investors (3%), as well as other stakeholder groups. 71% of respondents were from Europe and the U.S., with the remainder from pretty much everywhere else. While sustainability reporting continues to expand, it is doing so at a slower rate, according to CorporateRegister.com. Part of the reason for the slowing of this growth is the fact that, for the past 2 years, 2011 and 2012, there have been fewer first time reports than previously, breaking a pattern of year-on-year increase of first time reports every year since the year 2000. This is a big disappointment. I LOVE first time reports. Still, in 2012, 800 first-timers made their first foray into the transparency jungle, so that's about as many reports as I can reasonably read in a couple of months, so I guess things are not too bad. Survey respondents largely feel that CSR reports are an effective tool for building trust, and that reporting quality has improved over the past ten years. Surprisingly, perhaps, very few think that CSR reports are just PR. I could point them in the direction of a few choice reports to help prove otherwise, but gladly, I concur that today, while PR is always an element of almost every report, we are seeing more substance and more serious attention to important issues in sustainability reporting today. Another perspective is that almost all survey respondents think that all publicly traded companies ought to be required to report on sustainability matters. A few think that even SMEs should be required to report. If you work from the premise that sustainability reporting is a highly useful internal management tool, then this makes sense. Perhaps CSR reporting finally moving out from under the shroud of illegitimacy? According to CorporateRegister.com statistics, integrated reports are increasing, but are not yet as widespread as generally assumed. They are still less than 10% of the total reports published, around 600 integrateds in 2012. However, integrated reports are not all born equal. Many of them are just an expanded financial report with a section on issues related to sustainability and no linkage between the sustainability-type information and the business-type information. The IIRC is piloting use of the new IIRC framework, with a wide range of respected and experienced reporting companies. In fact, the IIRC includes several examples of integrated reports in the Emerging Integrated Reporting Database which hosts integrated pioneer flagship reports. I took a look at one of them - the Gold Fields 2012 Integrated Report, which came top in Ernst and Young's Excellence in Integrated Reporting Awards for 2013. At 212 pages, it's an easy read :). There is a very extensive section on assurance which is as comprehensive as I have seen in any sustainability report. The report is not GRI based. There is no materiality matrix of list of material issues presented, although assurance statements indicate that the report complies with the principle of materiality - probably because of the inclusion of a risk matrix which includes both business and sustainability-type issues. What I wondered, though, is how this report expresses the linkage between business sustainability (and risk) and sustainability performance. For example, the report contains a very detailed disclosure on human resources - as part of the "employer of choice" strategy. This covers everything from the "war for talent" and approaches to win the war, skills and leadership development, investment in operational training, increasing HDSAs (Historically disadvantaged South Africans) in the workforce, health and wellbeing, labor relations and illegal strikes, and safety and security. A very detailed disclosure by all accounts. But as this is an integrated report, I would have expected to see some correlation of the degree of investment in employee development to the business outcomes - both in terms of the incremental costs of extensive human resources activity and the expected benefits. Employee turnover has reduced significantly over a five year period; is this the result of these efforts? How does this benefit the bottom line? What about absenteeism which I can't find mention of? Recruitment costs and effectiveness? And many other aspects of business performance affected by the company's approach to human resources. In other words, in an integrated report, I would expect to find sustainability issues addressed from a more holistic standpoint - both in terms of impacts on people and society and/or the environment, and in terms of business growth, profitability and/or achievement of critical business objectives. If I understand this correctly, this is the principle of connectivity which the IIRC framework describes as follows: "An integrated report should show, as a comprehensive value creation story, the combination, inter-relatedness and dependencies between the components that are material to the organization’s ability to create value over time." Perhaps there is room for Gold Fields and other integrated reporters to make these connections more explicitly, as a demonstration of their "integrated thinking". It seems to me that, at present, integrated reporting is still very relative: relatively integrated, relatively more integrated, relatively not integrated, relatively kind of integrated. What appears to be generally the case, is that relatively integrated almost always means relatively very-long. Another interesting result from this survey relates to use of reporting frameworks. GRI and CDP come out on top with sector frameworks remaining in high focus. Thumbs down for UN Global Compact, however, despite its attempt in recent years to make reporting more prescriptive and comprehensive. Relatively. The CR Perspectives survey results suggest that stakeholders who are not as close to the direct operations of the organization are less important to the reporting organization. Employees are seen as the single most important report audience, and the general public comes bottom of a long list. A majority of respondents believe that large global companies should report at different levels which could be country level or even site level. Other things that support credibility are provision of data and specific targets and using a known reporting framework. An external assurance statement is the fourth element which contributes to delivering credibility. Interesting that this is in fourth place, as improving credibility is the prime purpose of assurance. Perhaps, in general, the poor quality of assurance statements we have been seeing to date, not a small number of which, in my experience, have a de-assurance effect, is the reason they are not seen to be delivering their purpose. There are many more perspectives in the CR Perspectives survey, and perspectively-speaking, it's useful to understand the perspectives at play in our sustainability landscape. My perspective on all of this is that you should take a look at CR Perspectives. Maybe you also have a perspective you would like to offer a perspective on? Anyone who knows me knows that I just have to respond to a post entitled "Five reasons you won’t be using GRI’s new G4 guidelines any time soon" by Bob Beer of Nowack-Beer Consulting which appeared on Toby Webb's Smarter Business Blog. In fact, I was even nudged to respond by a client :-), so how can I not? In his post, Bob Beer makes the point: "While well-intentioned, GRI’s new G4 reporting requirements are a serious impediment to the widespread and rapid adoption of this protocol." The key examples of aforesaid impediments cited by Bob are: the need to revamp processes to assess materiality, more time, effort and cost, "thorny" content issues such as transparency, materiality and stakeholder engagement, lack of report quality assurance and "Lack of a Mandate: Use of the GRI protocol is voluntary and there are no formal requirements or pressure to use GRI. (CDP, by contrast, has 700+ signatory institutional investors who apply formal pressure for disclosure.)". Well, Bob, got news for you. Not gonna happen. G4 reporting is a train that's bolted. Oops, shouldn't that be a horse? Well, whatever it is, it's still bolting. And it ain't gonna stop. I already have three G4 reports in the (very) final stages of preparation for global clients, and all my reporting clients who are starting their 2013 reporting cycle around now have confirmed their will move to G4. In the G4 Master Class I delivered in London last month, which was attended by representatives of some of the largest and most respected reporting companies from a range of sectors including fashion, retail, energy, media, chemicals and more, the interest in G4 was tangible. In the G4 training (Le Master Class) I presented at last week in Paris, organized by Institut RSE, the leading mover and shaker in French sustainability circles, an amazing selection of prominent French reporting companies were avidly attentive to the new G4 ins-and-outs, and were visibly computing their own transition as they developed their knowledge of how G4 can challenge them and help them move forward as sustainable and transparent companies. Our G4-Ready Expert Analysis, a 20+ page review of your current G3 report and assessment of the requirements for transition to G4 with recommendations, has become a popular service and has my analysts at Beyond Business going rather cross-eyed comparing disclosures and indicators. Wherever I engage, I am seeing interest in G4 and intent to use the new guidelines in the next reporting cycle. And by the way, Bob Beer says: "Developing a G4 report will require more time and effort than a G3.1 report and, as a result, will cost more to prepare." I find there is absolutely no basis for this claim. We are not charging our clients any more for producing a G4 report, and I have not noticed a significant additional time factor in the G4 report preparation in the work we have been doing with clients to date. Yes, there needs to be some addition of effort around process and engagement, but this is offset by reduced attention to many irrelevant reporting requirements in G3. Already, within six months of the G4 launch, I can count 12 G4 CORE or G4-referenced reports that have been published. There may be more that I am not yet aware of. I know there are several more on the way. Here's one: Matthew Swibel Director of Corporate Sustainability at Lockheed Martin noted in response to aforementioned post: "At Lockheed Martin, we intend to apply the G4 framework in our next report. Our analysis anticipates doing so will make the process more efficient and the disclosure more relevant to our core issues." Of course, G4 is not perfect, and those who have already started to use it, as I have, find that there are real challenges in using the framework as it is intended. I will talk more about these challenges in future posts, now that I am just catching my breath after a VERY intensive reporting season and have gained much first-hand experience in writing G4 reports. However, there is no doubt in my mind that G4 is a major improvement on G3, and it does require a different reporting mindset. But I find the points raised in the post by Bob Beer to be poorly considered, poorly presented and poorly concluded. You want to show leadership, responsiveness and agility in your reporting: Change is not easy for many and often impossible for some. It's easy to continue to do what you have always done. 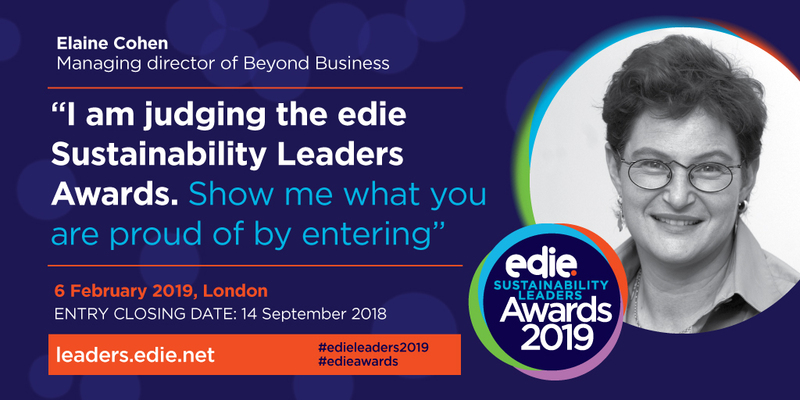 Early adoption of the G4 guidelines shows that your company is leading the way as a stakeholder-responsive, agile and forward-thinking player in sustainability. The G4 guidelines didn't spring up from thin air. They were the result of a multi-year, multi-stakeholder, multi-format engagement process and, despite the complexities of reaching consensus among such a wide range of diverse interests, GRI managed to deliver a product which is the result of what a representative selection of most stakeholders believe to be most important in sustainability reporting. Early adoption makes an important statement about your company's capacity to listen to stakeholders, navigate the winds of change and demonstrate adaptability and agility. You welcome the opportunity to focus your reporting on the most important things: The G3 framework actually forced companies who wanted to demonstrate transparency to report on a whole bunch of stuff which was irrelevant to their companies and fill their A level reports with a string of inconsequential statements, such as how biodiversity is not material to our organization. G4 cuts through the verbiage and goes right to what's most important in terms of the impacts your organization has on society and the environment. In my experience, this creates a different sort of dialogue within the company, and provides a new legitimacy for sustainability managers to demand greater process and reflection in the development of the Sustainability Report. Internal and external stakeholder engagement is now a necessity in G4 reporting while it was lip-service in G3 reporting. My experience is that companies actually welcome this as a refreshing and invigorating approach to reporting, and see opportunity in the materiality focus, both in terms of guiding and managing their own internal sustainability strategy and practice and also in terms of external communication. To say, as Bob Beer does, that "more detailed analysis and reporting on material issues could alarm investors and stakeholders, causing negative impacts on a business" is, in my view, a complete reversal of the truth. It's precisely that companies have NOT done this in the past that investors have been alarmed and stakeholders have been mistrustful. Your competitors are doing it or are about to do it: You will soon realize that G3 is a thing of the past. My prediction is that over 50% of the GRI based reports published in 2014 will be G4 CORE or G4 referenced, well before the official expiry date of G3 at end 2015. As you look around at what your peers are doing, you really won't want to be left behind using an anachronistic reporting framework that everyone has forgotten. You appreciate the flexibility of the G4 guidelines: The G4 guidelines offer companies the opportunity to mold the G4 framework around what you really want your stakeholders to know while meeting the information needs that they have requested on the issues which matter most to them. At CORE level, the degree of disclosure is manageable, given that companies can decide where to draw the line in terms of MOST material issues. You can decide that your report will cover in detail the top 5 issues, the top 10 or the top 25, and then you can align your disclosures with that. No-one says you have to report on every single sustainability topic or activity that you have ever done. Gone are the days of "we donated $5000 to a local NGO last week, let's put that in the report" and "we changed the light bulbs in the CEO's office to T5, let's put that in the report". Now it's about: "these are our most material impacts and let's talk about those in depth in the report - the rest is just chit-chat". A G4 report can tell a story just as well as any other type of report. You can use the G4 Content Index to disclose specific data which you may prefer not to disrupt your narrative. Aside from the General Disclosures which are required for all G4 in accordance reports, some of which are a little challenging (and not so relevant), even at CORE level, the G4 guidelines are all about do-it-yourself relevant transparency enabling flexibility and adaptability to each organization's needs. Why continue to be constrained by the old rules when you can break free with the new ones? You want more people to use your report: A G4 report done well should be far more appealing and useful to your stakeholders than a G3 report, no matter how well the G3 report is written and constructed. The worst thing that can happen to a Sustainability Report is that none uses it. A G4 report is far more usable because it is more focused and more relevant to the most important sustainability issues. Finally, I will round off with a quote from my colleague, the sustainability strategy expert, Joss Tantram, who also responded to the blog post by Bob Beer by saying, among other things: "A materiality centred approach is a step towards translating sustainability into the language and dimensions that have resonance for economics and capitalism." Here we are with the second in the series of sector analyses of sustainability reports using the new CR Sector Reviews from CorporateRegister.com as our inspiration. As I mentioned in my last post on the Forestry and Paper Sector, the CR Sector Overview series covers 11 sectors so far, (take a look at CorporateRegister.com Publications page to see if your sector is covered) and over the coming weeks, I will be blogging about each one. The CR Sector Overviews are free to subscribing members of CorporateRegister.com but I have kindly been provided with a full set, so that I can share some of my own insights about each one with the CSR Reporting Blog readers. Some context about the automotive industry from the CorporateRegister.com CR Automotive Sector Review: The automotive sector includes companies which design, develop, manufacture, market, and sell motor vehicles – including cars, vans, trucks, motorbikes and caravans. The sector also includes firms that make and sell components used by manufacturers to produce their vehicles. The majority of the main vehicle makers own and manage large manufacturing plants with mass production assembly lines, often highly mechanized. They may also have significant non-manufacturing facilities where new vehicles and technologies are designed, developed, and tested. Most vehicles are sold through networks of dealers that have varying degrees of independence. The ten largest companies in the automotive sector generate a combined turnover of more than $2 trillion, and over 84 million vehicles were manufactured in the world in 2012. The sector supports over 50 million jobs, of which around 20% are direct employees and the rest are those that benefit from the ripple effect. Ten material sustainability issues for the automotive sector are listed in the CR Sector Review, plus an additional 5 general issues which have relevance for the sector and three additional "upcoming" issues which should be on the radar of any company in this sector. Can you guess which is the first (and most significant) material issue listed for this sector? I'll give you a clue. It starts with carbon and it ends with emissions. Any offers? Now it's time to take a look at how they report. All have delivered 2012 standalone sustainability reports, with over 1,000 pages of content. That includes Ford's full sustainability website download, which alone is 558 pages. All the top five companies have been reporting since the mid-late 1990's, with the exception of Daimler whose first report appears to have been in 2000. This means that we are looking at a bunch of very experienced reporters in this sector, so we can be justified in having high expectations. Is there a correlation between reporting experience and quality of reports? I haven't worked that one out yet conclusively, though I tend to think that companies get better at reporting over the years. But I can't prove it. Maybe that's worth a special analysis someday. The top five automotive reporters include three GRI G3 Level A reporters, one GRI Undeclared level reporter and one non-GRI reporter. Guess the non-GRI? Toyota. But you didn't need to think too long and hard about that, right? GRI reporting in Japanese companies is a rare occurrence. Although CorporateRegister.com stats show Japan as the country with the third highest number of reports published, GRI-based reports represent less than 14%. Wonder if G4 will have any impact on these stats? Ask me in another 5 years' time. The interesting finding when looking at the sustainability material issues determined by the top reporters in this sector is that first, they list loads of issues, and second, just as I found with the forestry and paper sector, the most material issues do not appear to be closely linked to the sectors in which the companies operate. In the top ten material issues listed by four out of the five companies, we can find one or two sector-related issues at best, and even then, they don't appear at the top of their lists. I find this very surprising. I would expect that the most material issues of most companies would be found in the area in which they make their unique contributions. If urban mobility and traffic congestion, alternative transportation, air quality, vehicle safety, eco-vehicles, alternative fuels and electric vehicles etc are not top of the sustainability league table of issues for these companies, I begin to wonder how they are actually developing their lists of material issues. When employment, integrity and compliance, supplier relationships and customer satisfaction top the material issues list, I feel that these companies are missing the point. These issues are of course no less important for the automotive sector than in any other sector, and who could argue with having satisfied customers? But surely, the greatest sustainability impacts are defined by the sector a company operates in? Maybe that's just my peculiar view, but it really surprises me to see such a variety of material issues which could apply to any sector at all. This is a very serious report. At 168 pages, it covers a lot of ground. It's written with systematic precision in staccato sentences, as narrative, with no quotes or commentaries and just a few very short case studies. It's a plain black and white design, with just an occasional splash of color here and there. Although Volkswagen's report may be just a little dry and even a little boring at times, it's an easy read and the content is impressive. An example of the boredom factor might be the section on "Vocational education and training". We are told that vocational training is "critical to developing a top team at Volkswagen" and that 16,174 employees were engaged in vocational training at the end of 2012. We are then treated to an additional two pages about the detail of different vocational training programs in place in different locations in Germany, U.S., Spain, different awards and competitions in the area of vocational training, a range of collaborations involving apprenticeships and suggestions from the Works Council as to how to increase the scope of certain vocational programs. While this may be very transparent, it's far too detailed and frankly, loses the reader after the first paragraph. More importantly, no link is made between vocational training and creation of the "top team" at Volkswagen. Instead of this long (boring) activity summary, I would have been more interested to read about whether this vocational training is effective. What percentage of trainees achieve vocational certification and/or go on to do meaningful work within the Volkswagen group, what percentage of trainees have stayed with the group after they have received all this training, and how many have been promoted? Volkswagen could disclose how many of the Volkswagen top team has actually come up through the vocational trainee route - since this is the stated desired outcome of all this investment. There are many more examples of the boredom factor in this report - but if we get past that, there is an earnest tone and a credibility about Volkswagen's reporting that is quite positive. The report is structured in four main content sections: Strategy, Economy, Society and Environment with additional sections providing context before and after. There is a clear link between material issues and reported content, although the Volkswagen actually reports much more extensively than is required to cover only the material issues. An opportunity to go to a more compact version with G4 here. So, now that we got past the gender imbalance thing, Volkswagen's report gives confidence that the company is making strides in sustainability areas noted as most material, and in many more. Strong performance against stated quantified targets through to 2018 is recorded, with improved environmental impacts on energy, emissions, waste and water per vehicle. Volkswagen gives a full Scope 3 inventory for the first time which is very best practice, as well as discussing a range of environmentally-related issues that are on the sustainability agenda, such as sustainable mobility, traffic noise, fuel efficient vehicles and more. A nice touch to the Volkswagen report is the section on highlights and lowlights. The highlights include a page of interesting achievements and awards, while the lowlights contains cases of awards not received, including Greenpeace protests on vehicle CO2 emissions, and lack of recognition for achievements in the eco-compatible cars category rankings. While these lowlights are fairly innocuous, the fact that Volkswagen includes them at all is a plus point for credibility. We all know how bad news sells sustainability reports. Another very Japanese report from Toyota. No material issues, no GRI Index, but more diagrams and charts than anyone can reasonably expect to fit on 64 pages, an index against the ISO26000 framework and a fairly encouraging third party opinion. The nice thing about Japanese reports is the way the culture shines through - not only in the design but also in the words. I now know what monozukiri is, and kokuru haboku, and senzbaru, and by now, we all know what kaizen means. Toyota's reporting is very forward looking. It all starts with the principle of visionary management, symbolized by the Toyota tree. This is supported by visually engaging approaches about how Toyota plans to deliver, as in the Fifth Environment Action plan, for example. Toyota places emphasis on the future of the automotive industry and contributing to new mobility societies, new smart-grids for low-carbon environments and transport infrastructure. It's a very interesting look into the way our lives will change and the role of the automotive sector that Toyota envisages. If you can get past the crowded pages, and actually enlarge the text enough to make it legible, you will find some gems in this report. One of the gems I found was way Toyota is developing "partner robots that are useful to people by combining cutting-edge technologies from various disciplines including the robotic, automotive, and IT fields", providing support for the aging population of the future and mobility options for people who are disabled. Similarly, Intelligent Transport Systems Technology is being applied to make the vehicles of the future safer using sophisticated communications systems and helping cars talk to one another. I am sure there must be a Japanese name for that as well. Toyota's reporting demonstrates strong ongoing sustainability performance in current operations, including environmental impacts, an important community spirit with continued investment in Japanese society still rebuilding after the Great East Japan Earthquake, and investment in research and education into sustainable living and programs for safe driving. The tough thing about Toyota's reporting is that it really is difficult to separate the important from the interesting. Much of the content is about vision, approach and policy, and it's not always easy to link this to performance and outcomes. It's a disjointed read, you jump around from text box to more short text boxes, and if your eyes don't hurt, your head starts to. GM's report is refreshingly fun and appealing. You can't miss the Sell the Plug story in the first sections. It's all about electric vehicles, ecosystems for electric vehicles, market presence of electric vehicles, partnerships for advancing electric vehicles and, of course, GM's electric vehicles. If you haven't heard of electric vehicles by now, GM's report bumps you up to 6th grade in a short read. GM's introductory pages set the context, as mentioned, of a plug-based future, and the second half of the report covers ten global issues which are the result of a focused materiality process which started out identifying 38 issues and then settled at ten, with internal consultation and external validation. "This set of global issues forms the foundation of our annual sustainability reporting and reflects the most material global topics facing General Motors with respect to its economic, environmental and social impacts." Three of these ten issues are specifically relevant to the automotive sector, and the rest are more generic sustainability issues relevant to any company, any sector. GM provides a narrative about each issue in turn, describing the context and relevance of the issue, and what GM is doing about it, including performance against targets where relevant, and this includes some impressive 2020 targets in the environmental area. The report ends up with a set of KPIs and then a couple of pages each about GM's regional performance in four regions. This is a nice report which combines a serious message in more of a fun package that we are seeing from the other players in this sector. It's an easy read - and a good story. Daimler's report is another fascinating look at the automotive industry and its impacts on our lives. In a report which is quite outwardly focused, Daimler takes us through its 2010 - 2020 sustainability strategy, covering its own performance as well as the sustainability issues of the sector with thought and perspective. Including external experts in fairly detailed interviews, Daimler is able to provide context and opinions relating to the role of mobility in our society, the imperatives of sustainable business, and the challenges and benefits of innovation. In a detailed materiality matrix, Daimler places most emphasis on customer satisfaction, with just a couple of the most material issues relating specifically to the automotive sector. Interestingly, all social projects and community investment initiatives are bunched in the lower left quadrant.... not so material. Relatively speaking. Daimler does the report reader a favor by pulling out the key highlights for 2012 into a list to help us gain a quick appreciation of progress made in 2012. I like it when companies do this. Saves me hunting around the report and trying to work out what appear to be the most significant performance developments. Progress in the creation of a new Stakeholder Advisory Board, remuneration management, renewable energy, social projects and more are listed here. The entire management team at Daimler has something to say about sustainability. While none of these insights are terribly mind-blowing, I like to see the leaders of an organization coming out in print about their commitments. This sends a clear signal that sustainability is not just the whim of the CEO but a total management responsibility and acceptance of accountability by all. Half way through the Daimler report, the switch is made from narrative to "facts and figures", which is a round-up of all the sustainability performance areas, supported by data and relevant context and explanations. It's pretty comprehensive and covers all the bases including the material issues in the matrix. And finally, the baby of the top 5 group with only $134 billion turnover, Ford has always been a mammoth reporter, delivering incredible levels of detail. I often quote Ford's materiality matrix which is an exercise in precision - whittling 550 issues in 15 groups down into one single list, of which 14 are most material. Of these 14 issues, I can discern three which are sector specific. The materiality analysis is online, and accessible but not user-friendly. Navigating the fourteen most material issues alone, without all the rest, is rather a nightmare, making it rather difficult to see at a glance where Ford is placing its sustainability priorities. Each material issue is shown versus its matrix position in the past, showing whether it is trending more material or less material, or whether it is a new issue. It would be interesting to see all the most material issues (14) listed on one chart with the headline trend information so that we can quickly see how materiality at Ford is changing overall, rather than the bite by bite way it is presented. I also have my reservations about the need to start from such a broad base (550 issues? ) and it would be interesting to know if Ford have derived any tangible benefit from such an extensive analysis. This year, Ford expanded its analysis even further to include a broader look at the value chain to help Ford get ready for future G4 reporting. The chart is interactive and each issue is supported by a description of the key impacts in that part of the value chain and the key stakeholders affected, plus some data. "In the long term, we hope consumers will begin to see a radically different transportation system, particularly in urban centers. Cars will be connected to each other, as well as to the infrastructure around them. Vehicles will take in a significant amount of information that will allow them to have automated capability, such as parking themselves or driving in connected groups on the freeway. There will also be seamless connections between different modes of transportation, from personal cars to public transit systems to parking facilities at businesses." The day that my car parks itself will be a happy day! I say, bring it on! Fortunately, for those with a little less time, in addition to the 558 web-site page download (it's much easier to use the online report), Ford produces an 8 page Sustainability Report Summary, which gives a taste of Ford's performance and key impacts. A quick round up of the 5 largest automotive reporters in the world...funnily enough, as I write, the Greenbiz newsletter popped into my inbox, with the headline that IKEA will have installed electric car charge points for customers by the end of the year, teaming up with Nissan and green energy provider Ecotricity to install fast charge points in the car parks of all 18 of its UK stores. Nissan just missed being included in this post, being the sixth largest automotive company in the world, but clearly, the Plug agenda is very much on the Nissan radar as well. As you can see, there are some common areas of focus and reporting among the large automotive players, and each has a distinct style and focus in their sustainability reporting approach. If I have to award a cone for the report I found most appealing, and readable, you've probably guessed that my pick would be General Motors. The major investment in transparency and detailed disclosures provided by the remaining reporters in the automotive big five is impressive. In looking at whether these reports are G4-Ready, although we have not performed a complete G4-Ready analysis, I suspect some of these reports are G4 TOO-COMPREHENSIVE, providing far more information than the average stakeholder can reasonably digest or that the professional stakeholder reasonably needs. Once again, as with the forestry sector, we can see that materiality is not showing up within a sector frame of reference, but as individual company selections based on individual company approaches and individual stakeholder engagement processes. Clearly, the degree to which stakeholders from different backgrounds are included and their input evaluated as part of the materiality process can play a major role in determining what's material for any company, irrespective of the sector. If you get Greenpeace and Rainforest Alliance around your stakeholder table, then your materiality matrix will look somewhat different than one produced by a table populated with Oxfam and Feeding America. Question is: who invites who? In the meantime, the CorporateRegister.com CR Sector Reviews can help you work through the materiality maze.